Will beauty save the world? 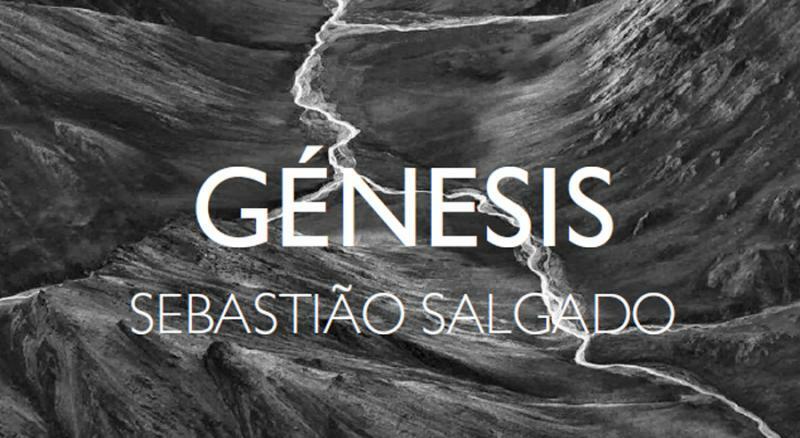 Génesis, the last work of the photographer Sebastião Salgado, is a call for a battle to save the planet. Beyond the borders of an untouched or exotic nature, the ambiguity of a switched time reminds us of our collective belonging and common struggles. Can a photograph of an icy and far-away place in Antarctica provoke us any feeling of familiarity? Can a photograph of the Himba people in Namibia, or of an indigenous population in the North of Siberia, brings to us the idea of the common? Can art awake a desire for self-preservation? Can the experience of aesthetics engender environmental consciousness? Will beauty save the world? It is impossible to watch and look at length to the last work of Sebastião Salgado, Génesis, and leave indifferent, with no marks in the memory and the imaginary, without reflecting and reacting emotionally. Dedicated to the last natural and human strongholds of a threatened planet, this exhibition has more than two hundred photographs from the travels of this renowned Brazilian photographer. Between 2004 and 2012, he travelled over thirty-two remote and sometimes, inhospitable regions. In black and white format, the aesthetical impact of these photographs is only surpassed by the strong suggestion of the senses given by each of the objects photographed. Sebastião Salgado allows us to visit unusual territories in polar circles and tropical forests, in extensive savannahs and torrid deserts, in icy mountains and desert islands. Whereas some places can only be inhabited by the most resistant forms of life, others are home to animals or ancestral people whose survival fundamentally depends on their isolation. As the curator of the exhibition, Lélia Wanick Salgado points out: «it is a journey in search of the planet as it existed before, since its formation and in its evolution, before modern life speed-up and drove us away from the essential core». Those words confirm then that «our planet still houses vast and remote regions where nature reigns in immaculate and silent majesty». Although each photograph is both a mean and an end in its aesthetical materiality, the goal of the exhibition is explicitly political and clearly announces «a call for a battle». 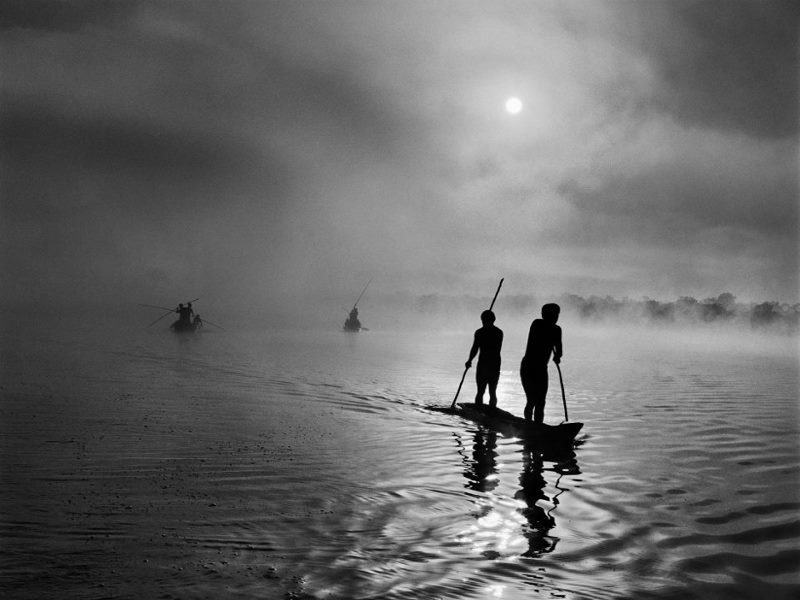 Sebastião Salgado shares with us a hidden beauty as a generously granted privilege, but he does it «in tribute» to a fragile planet «we have to protect». And this is what he wants to tell us: this amazing world, which includes us as humans, is in danger. And it is time to assume responsibilities. However, the photographs composing the exhibition form a group that suggests an idea of genesis embedded in an experience of a switched time; that is, of an old present, paradoxically ancestral. What we can meet and contemplate are images of a planet closer to its origins, and, for that reason, apparently more distant in time and space from what we recognize as the home-world. But those landscapes and people were in the past as they are still today. To recognize a common world and humanity – the necessary condition for (self) preservation consciousness – we need to remember that those photographs show places, animals, and people of a today that is also our today – the older photographs were taken in 2004. Furthermore, the thing that the photographs of Sebastião Salgado show to us belongs to an order of a world that includes us. It is required not to fall in the allure of exotics that easily designs borders between us and the other, which is much an inhospitable landscape as a culturally different population. After all, the big metropolises are also landscapes of this world and were built by beings that share the same humanity than the populations photographed. The distance hides an approximation. Everything is part of the world history: the skyscrapers and the pointy mountains, the isolated tribes and the modern ones dependent on internet, the known and the unknown, the camera and the untouched nature captured by the objective. Therefore, Génesis also allows us an experience of a certain material and temporal ambiguity that can be of a not yet – a sign of hope, for us and for the planet. Human action is irreversible, but also unpredictable, Hannah Arendt has warned us. Those tragic categories, however, mean also the permanently renovated possibility of starting (something) anew and a promise; that is, power and responsibility. An ethic and ecological individual impulse has to awaken in each one of us, for sure. However, the beauty call us in its universality, it awakes a common sense, it allows us to conceive ourselves as a collective. As a result, the beauty we can appreciate in those photographs is also political, and, in that case, leads us as community of the world to construct a radical alternative to change the economic, environmental, social, and cultural paradigm we live in. * Sofia Roque is a member of the Center of Philosophy – University of Lisbon and a PhD Student on Political Philosophy. Her research work focuses on Hannah Arendt’s political thought. She is also a feminist and a political activist. This article was originally published in Portuguese in the on-line magazine Vírus.